It approaches sociological typically, at the end, divided between versions of theories of action and structure, rather than try to overcome (in various ways this distinction). Now, within the various forms that becomes the concern for the action an aspect that has gained strength in recent years, which has intrinsic interest and also their movements as such are illustrative of the trajectories of social theory in general is what has been called the sociology analytical (Hedstrom 2005, Hedstrom 2009, Manzo 2010). The sociology analytical is both a theoretical proposal as a methodological proposal and we will discuss the two separately here. 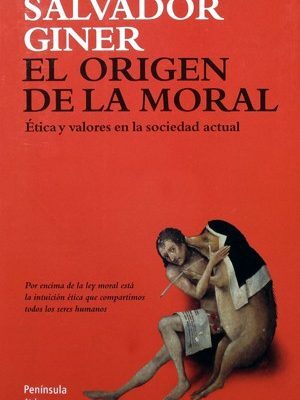 In regards to her statements theoretical, we can observe that it has a clear rootedness accionalista: ‘Through their actions actors make society ‘tick’, and without their actions social processes would come to a halt. Theories of action are therefore of fundamental importance for explanatory sociological theories’ (Hedstrom 2005: 5). All analysis requires a micro-foundation (that is, an explanation at the level of the actors) robust, without it there is no proper analysis -because what is denied, along with all of the tradition accionalista, the existence of causal mechanisms with direct macro-to-macro (the entire statement needs to go through the level of the actor). What model of actor? Clearly it tends to reject the idea of rational choice, or at least declare it insufficient, So Manzo argues that this theory is torn between a strong formalization that is empirically wrong, and between versions more weaknesses that are not just as wrong but that predict little (Manzo, 2013: 362). And that there are models of actor that does not have those limitations. This is rather like Raymond Boudon, who collaborated with a chapter (1998) in the book of Social Mechanisms, which in some way is the origin of this perspective (and that was in close proximity of this slope for a good time). Now, of all forms there is a preference shared by the formalization; and what is of interest is the possibility of developing an approach more formal, and with important predictions, but that does not follow the tradition of rational choice. For this reason it is thought that the intentional action is the basis of all good explanation, but this does not require models rationalists. The model BOD Hedstrom (2005: 38-42), or see also Fehr and Gintis 2007) is a simple way to model alternative: The action is understood as the result of desires (D), beliefs (B, beliefs) and the opportunities (Or). This simple model arises because it is useful to explain; Hëdstrom recognizes that it is the ‘psychology popular’, but at the same time the fact that in everyday life we use a model of this type that serves to predict actions of others based on our beliefs about their mental states, shows us that on some level it works. And given that social science aims to explain the individual states, but use it as a base for other explanations, then perhaps let it suffice, then, with that psychology popular. Now this perspective, while it has a root clearly in the theories of action and perspectives of individualistic moves toward an incorporation of a vision interactional, recognizing the structures. After the appointment of Hedstrom of the previous paragraph suggests that the structure of interactions has a self-importance for the explanation. Recently, Manzo (2014: 17-21) has emphasized that the sociology analytical uses individualism structural (see also Hedstrom 2009, Manzo 2012), recognizing that actors are enrolled in a network of relationships and contexts. Required, to use the subtitle of a recent text that presents this perspective, ‘Actions and Networks‘ to understand the social life implies a shift away from a purely accionalista. In some sense, we can raise the movement of the sociology analytical sample, the limits and possibilities of the approximation of the action. On the one hand, (a) recognizes the need for a more complex view of the actor, and (b) to explain through actions that are necessary structural parameters (i.and the networks). Which is interesting because it replicates a previous step of the social theory. That is precisely the solution of Parsons in the Structure of Social Action (1949): complexify the vision of the actor, to enter the structural parameters, all in the name of recognizing intentionality (voluntarism in the language of the first Parsons). Somehow, the resolution of the problems of the theories accionalistas are resolved in a direction that sends out of it. But this seems to be a lesson forgotten because, say, it is a process that needs to be done again and again. On the other hand, and nor should it be forgotten, yes there is some evolution: The structural parameter that Parsons was standards and values, is replaced by another parameter, which is constituted by other actors. And one would say that, yes, this is a theoretical breakthrough of some significance. The sociology analytics as a methodology. The methodological approach of sociology analytical is born of a look very critically at the state of sociology: the social theory is nothing more than a set of texts that are unclear that is named but not explained -and it is not strange to find in these authors references quite caustic about the definition of habitus of Bourdieu for example (using the idea of ‘structures structured predisposed to function as structures structuring’ as a model of the lack of clarity). It is critical that the cognitive model of science, or is the search for explanations of social life, has lost importance in terms of other ways of doing sociology, which may be legitimate but which are secondary (Boudon 2001). The basic principles of objectivity, anti-relativism, unity of the sciences, and in particular the requirement of clarity, framed by the concerns of sociology, analytical. Which they then share with other perspectives, so that the difference is a strong explanation via mechanisms (Hedstrom 2005, Hedstrom 2009, Noguera 2006, Manzo, 2010): it Is important to overcome the explanations of variables, which in the end are ‘black boxes’. The central idea is that to explain a phenomenon is to generate it (Manzo, 2010: 210). In this sense, we can raise is a perspective, a certain sense anti-hempeliana: the notion of law coverage is insufficient; as a way to overcome the explanation only through variables. The idea of coverage law is not sufficient because, precisely, delivery regularities without mechanisms to explain how to generate that on a regular basis. Then, what you need to do is to explain via the mechanisms. where we can see how to generate processes from lower levels (Hedstrom and Swedberg 1998}; and for a listing of virtuosic mechanisms can be read to Elster (2007). There are multiple definitions of mechanisms. So Hedstrom (2010: 50-52) argues that: (a) these are identified by the effect they cause, are always mechanisms for something; (b) it is a notion of causal irreducible, refers to the entities that cause the effect; (c) has a structure, visible as the entities that are producing the effect; and (d) form a hierarchy, what, in a certain study can be given as a mechanism since it is expected that in turn this is produced by mechanisms at a lower level. Another definition is that of Elster, which has the advantage of displaying its nature legal: ‘Roughly speaking, mechanisms are frequently occurring and easily recognizable causal patterns that are triggered under generally unknown conditions or with indeterminate consequences. They allow us to explain, but not to predict’ (Elster 2007: 36). Not only the mechanisms clearly are not similar to laws, but can’t think of it as that which allows us to understand a law -explain without predicting it would be almost an anathema under the idea of explanation of coverage. In any case, it is still curious this strong defense of the idea that an explanation to be scientific it must be through mechanisms, and that is almost the dark ages to suggest that it explains without having a mechanism. Because in classical mechanics we already find the same problem and the solution was to effectively declare that it is not necessary to have a causal mechanism to have a good scientific theory: there is no causal mechanism to explain gravity in Newton, and it is this lack which gave rise to the phrase hypothesis non fingo: it is Not necessary to have a mechanism that explains the law of gravitation to have a very proper law of gravitation allows us to understand the world. In other words, the philosophy of analysis that is behind this movement is so demanding that deletes important part of the hard sciences. By the way, finally, sometimes it is recognised that effectively it is unfeasible to have explanations by mechanisms, but it is something strange, this insistence. The explanation by mechanisms is approaching perspectives of agents, which is associated with the character accionalista of perspective in theoretical terms: the idea of explaining the macro-result through minor elements translates easily to the idea that these micro processes are individual. Phenomena in aggregates is not explained at the aggregate level: ‘Macro-level outcomes and relationships tell us very little about why we observe the macro-level outcomes and relationships we observe’ (Hedstrom 2009: 340). At the same time, they criticize the idea that this asea an approach reductionist, given that the phenomenon of aggregate is not a simple ‘sum’ of what happens with the actors, but that depends on the ways in which they interact. The formulation of Manzo is perhaps one of the clearest in locating the various forms of methodological that allow you to explain social phenomena: ‘wherein variable analysis describes, mechanism modeling (where mechanisms are built in non-reductionist methodological individualism terms) explains, and simulation activates and runs (as well as tests) the mechanisms assumed to be the basis for observed statistical relations’ (Manzo, 2007: 37). A synthesis of mechanisms with simulation, in any case, it seemed to be the nucleus of one of the programs most relevant of sociology of science at the present day. The sociology analytical has several of the advantages and problems of the research programs that originate polemically, against the others: it Has the strength and the enthusiasm of those who want to make a turn in a discipline that come with problems and that it is required to recover or take for the first time, something that is relevant and that can be overlooked; but at the same time are somewhat monothematic and exaggerated (for example, in his rejection of explanations are not mechanistic). Now, by the way, that to the extent that this tradition develops some of its features more one-sided blur (and thus, it is a accionalismo that incorporates structural parameters). In any case, it is a path that other research programs have had, from the theory of the rational actor approaches relational; and it seems to be that it is so, at the point of enthusiasm is one-sided, that the theoretical and methodological reflection in the discipline, however, makes production of some value. Boudon, R. (1998). Social mechanisms without black boxes. In P. Hedström and R. Swedberg (Eds. ), Social mechanisms (pp. 172-203). Cambridge: Cambridge University Press. Elster, J. (2007). Explaining Social Behavior. Cambridge: Cambridge University Press. and Analytical Foundations. Annual Review of Sociology, 33, 43-64. Hedström, P. and Swedberg, R. (1998). Social Mechanisms: An introductory essay. In P. Hedström and R. Swedberg (Eds. ), Social mechanisms (pp. 1-31). Cambridge: Cambridge University Press. Hedström, P. (2005). Dissecting the Social. Cambridge: Cambridge University Press. Hedström, P. (2009). The Analitical Turn in Sociology. In P. Hedström and B. Wittrock (Eds. ), Frontiers of sociology (pp. 331-342). Leiden: Brill. Hedström, P. and Ylikoski, P. (2010). Causal Mechanisms in the Social Sciences. Annual Review of Sociology, 36, 49-67. Manzo, G. (2007). Variables, Mechanisms and Simulations: Can the Three Methods Be Synthesized? A Critical Analysis of the Literature. Revue Française de Sociologie, 48(Supplement: An Annual English Selection), 35-71. Manzo, G. (2010). Analytical Sociology and its Critics. European Journal of Sociology, 51, 129-170. Manzo, G. (2012). Full and Sketched Micro-Foundations The Odd Resurgence of a Dubious Distinction. Sociologica, 1, 1-8. Manzo, G. (2013). Is rational choice theory still a rational choice of theory? To response to Opp. Social Science Information, 52(3), 361-382. Manzo, G. (2014). Data, Generative Models, and Mechanisms. In G. Manzo (Ed. ), Analytical sociology (p. 4-52). Chichester: Wiley. Noguera, J. A. (2006). Introduction : Why We Need an Analytical Sociological Theory. Papers 80, 7-28. Parsons, T. (1949). The Structure of Social Action. Glencoe, Il: The Free Press. Previous Article Agamben on Auschwitz. The terror of the extinction of the human. Addiction to social networking is it as severe as drug addiction?